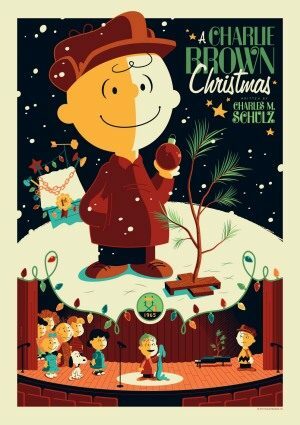 This television classic features the Peanuts characters in the story of Charlie Brown’s problematic efforts to mount a school Christmas pageant. Everybody’s on board: Lucy, Snoopy, Schroeder, Pig-Pen, but the biggest impression is surely made by Linus, who stops the show with his recitation from the gospels of the story of Christ’s birth. It’s just an outright travesty that the most recent showing of “ACBC” on December 2nd there were numerous scenes deleted in order to make room for more commercials. It’s just shameful that a holiday classic such as this gets butchered in this manner. As soon as I noticed this I stopped watching. After all you don’t play card games with a deck containing less than 52 cards. That’s why I bought the dvd. Screw the network. Ditto for me SFC Bob! COOL!!! Will watch it both days. Except in 1969 & 1970 when my dad was stationed out of the U.S., I have seen this every year since it came out in 1965. to me, it is not Christmas without this!! I love this too! It feels like christmas anytime I watch it. My family watches it every year!!! !